LESSONS drawn from history books motivated Terry Dennis to give $10,000 to a stranger. That stranger was Eungella dairy farmer Dale Fortescue, who launched a crowd funding campaign last month to source $100,000 for a milk pasteuriser and bottling plant. 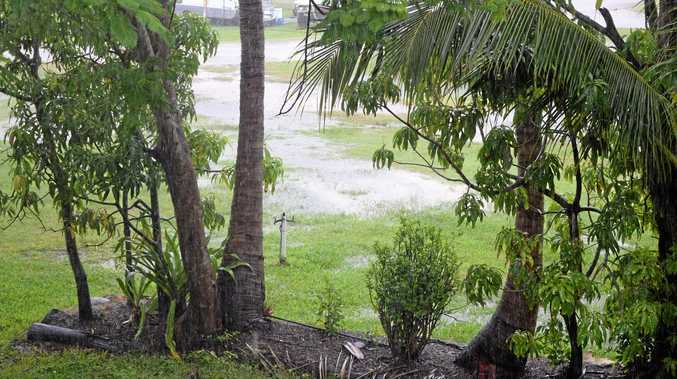 The equipment would allow him to process milk from his dairy herd locally, meaning the business would no longer rely on current processor Parmalat sending a truck from Rockhampton to pick the milk up. 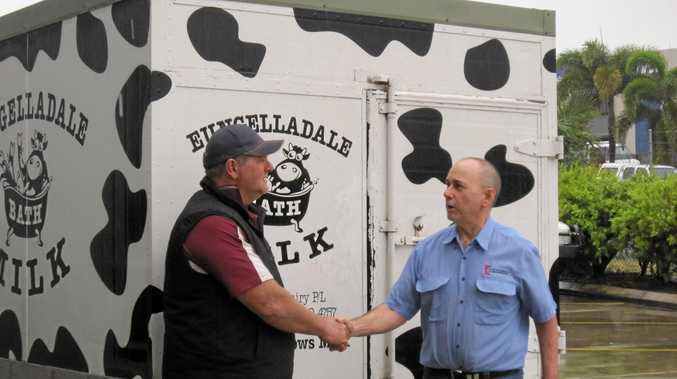 Only two dairy farms will remain in Eungella after this year, and Mr Fortescue was concerned the supply chain could be cut. But the generous donation from Mr Dennis, brings the amount raised now to $17,902.99. Mr Dennis, a Paget worker and history buff, said he decided to donate for 'pseudo-political reasons' that stemmed from a concern "Australia was more concerned with minerals than being able to feed ourselves in the future". He said history showed that countries should prioritise their agricultural interests; Mr Dennis believes he can do that by helping Mr Fortescue realise his vision. He also believed transporting milk 'all over the country' was bad news for local operators and made no sense when global warming was a rising concern. "These are hard working people who are trying to do something worthwhile like feeding us," Mr Dennis said. "If we can't feed people, what will we do? You can't eat coal." He hoped if Mr Fortescue's vision was realised one day, it may even inspire other local farmers to re-enter the dairy industry. Mr Dennis' generosity might not only lead to a revival of Eungella's dairy industry but also its tourism sector, as Mr Fortescue's plans have grown on the back of the support. Once the milk processing operation is up and running, he wants to build a cheese factory, construct a wedding chapel and build a train ride across the property. "You've got to have dreams. You've got to have a go," Mr Fortescue said. While he said the bigger picture was 5-10 years away, he'd already consulted Mackay Regional Council on the idea.